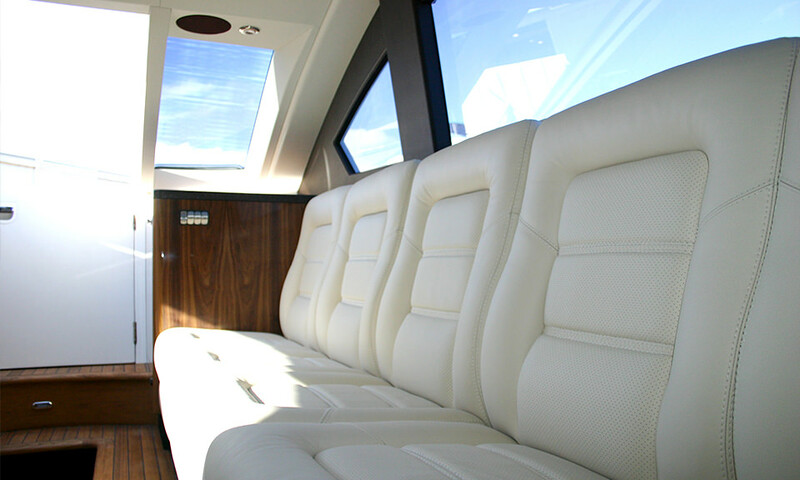 This Sam Sorgiovanni designed 12m Limousine is one of two near identical vessels delivered to a Royal Yacht. 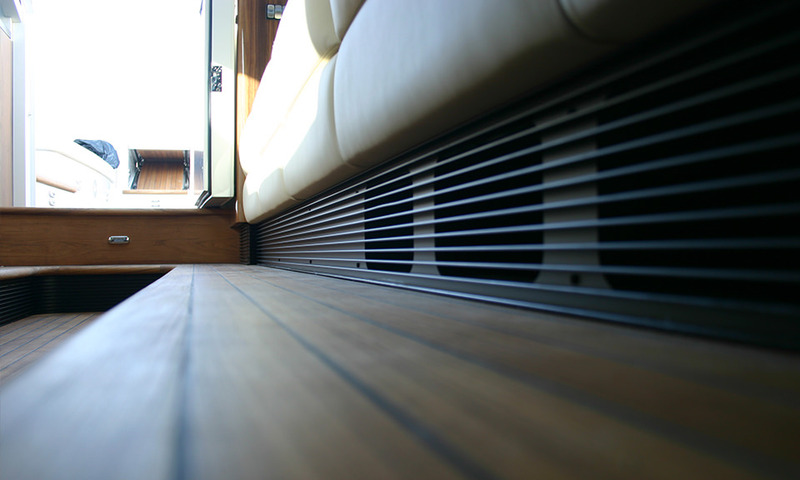 The emphasis was on ease of entry to guest compartment,comfort and safety at high speed in deep or shallow water. 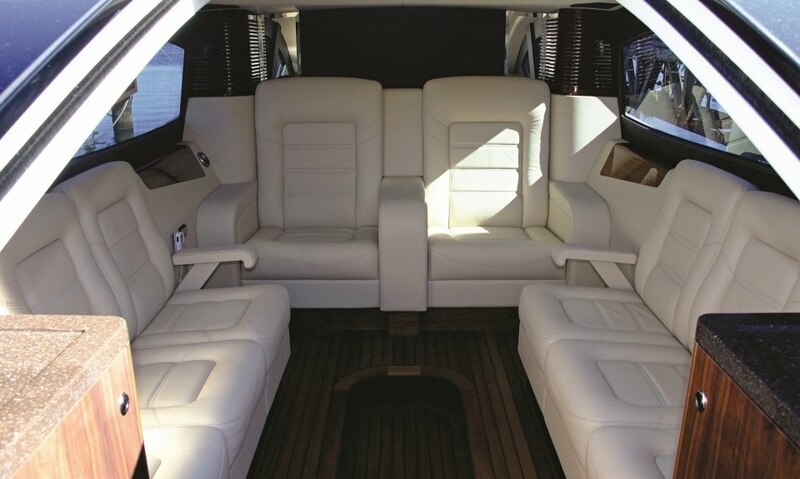 Equipped with D6 Volvo engines and HJ 292 Hamilton Water Jets, these Limousines are capable of 44 knots in quiet safety and comfort. 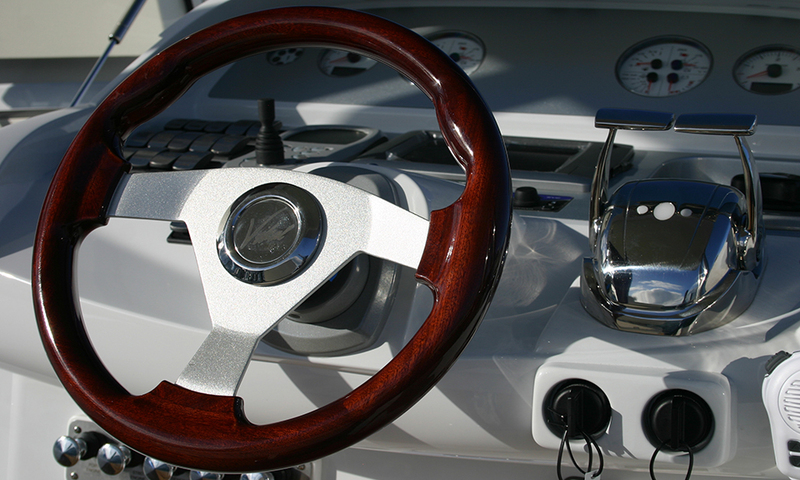 Interiors are of exquisite leather, teak and mahogany. 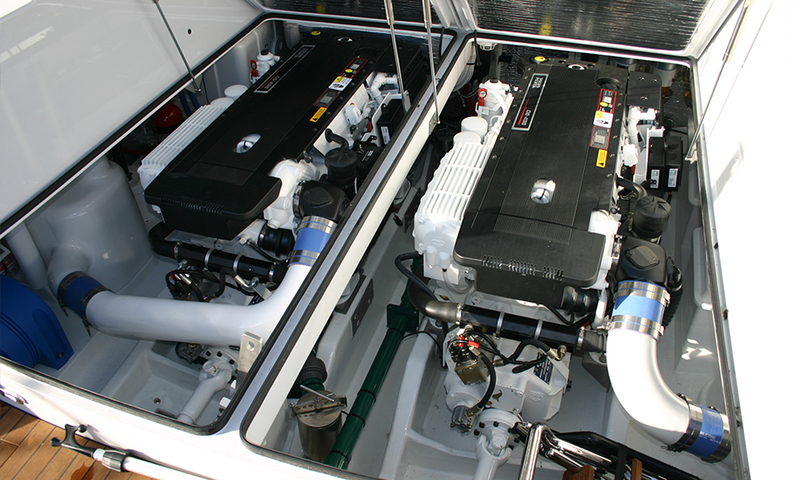 Air conditioning is operated on a 240 volt system. 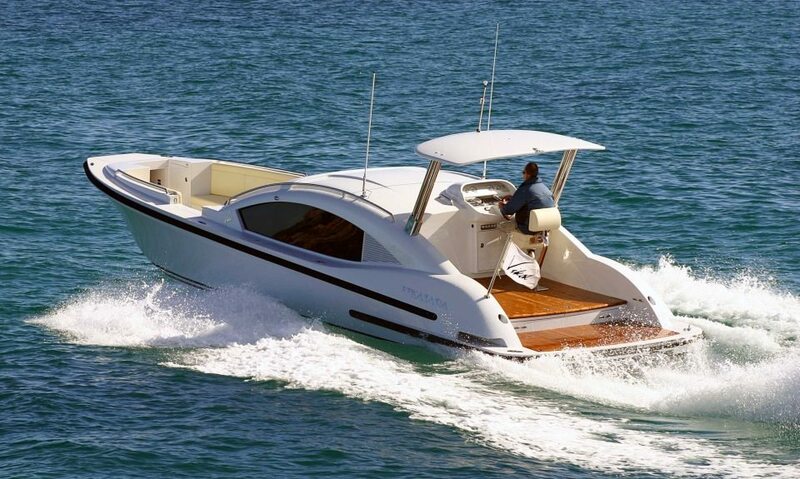 With a hydraulic bow door installed, this tender is beach-able and with its water jets can be operated in very shallow water. 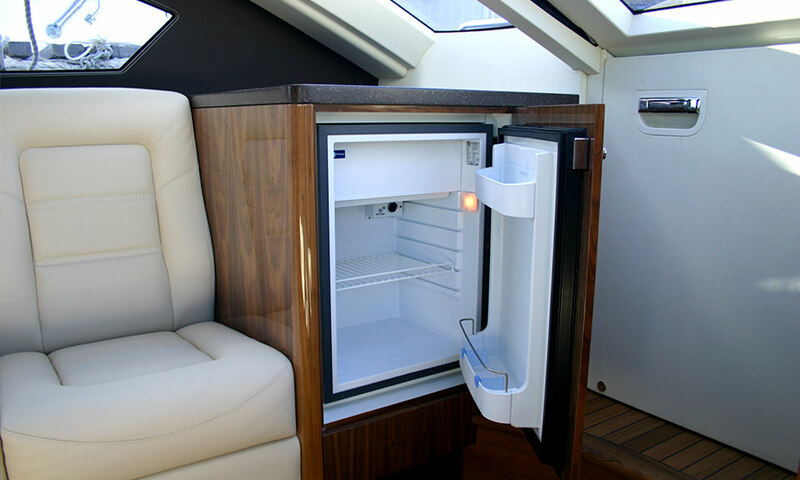 The roof is retractable for stowage on board the yacht.